One of the great things in rejecting bad behavior by the National Football League (NFL) is greater time available for quality college ball. 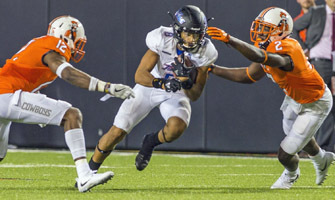 Both Oklahoma (OU) and Oklahoma State (OSU) this season have squads capable of competing at the highest level, but don’t forget Tulsa (TU) plays great ball as the smallest (enrollment) university playing Division One football. 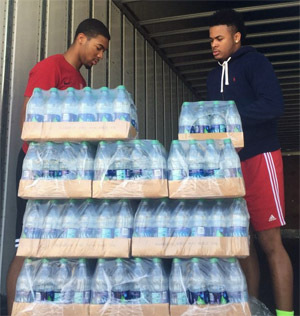 It is not just strength, skills and teamwork that Tulsa Coach Montgomery instills – it is heart and character that shows on the field and in community most recently helping Hurricane Harvey victims. 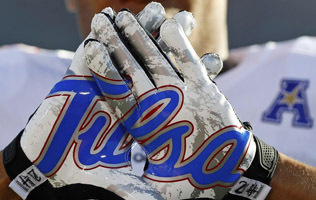 In an effort to assist those affected by the recent devastating events in Houston caused by Hurricane Harvey, The University of Tulsa and TU Athletics, in partnership with members of the TU Board of Trustees, will donate all revenue from tickets sold (ticket packages and individual game purchases) between now and the end of Tulsa’s first home football game on Saturday, September 9, to the hurricane relief efforts. All funds will go directly to the Hurricane Harvey Relief Fund, which is coordinated through the Greater Houston Community Foundation (GHCF), a 501(c)(3) public charity. For more information on the GHCF, click here. Fans can go online to purchase tickets at TulsaHurricane.com at any time or by phone at 918-631-GoTU (4688) weekdays from 8:30 a.m. to 5:00 p.m.
“With the devastation that has affected so many people in the Houston area, and some of our own student-athletes’ families, we believe this is another way to show our support and lend assistance,” said Dr. Derrick Gragg, Tulsa’s vice president and director of athletics. The 2017 opening game may have seen Tulsa fall at #10 Oklahoma State 59-24, but Coach Montgomery was justifiably proud of his players. “You know, just like the play by McKinley (Whitfield). Those are things we preach about in our program. We’re going to fight for 60 minutes and it doesn’t matter what the score is or whether we’re on top or we’re on bottom. I was really proud of the way our guys continued to fight and grind. “In some of those explosive plays early, we’re actually in pretty good coverage. The first one to Washington, Kerwin (Thomas) was right there. We just have to finish that play. Same thing with Reggie (Robinson II). He’s right there, we just have to finish that play. Those explosive plays happen. But you have to move on. But again, OSU is a talented group, a talented quarterback, and we have some guys trying to step up. We have some young guys who got a lot of experience tonight. So, hopefully we can build on that and continue to grow,” Montgomery said. After giving up 453 yards in the first half, the Tulsa defense stiffened in the second and held the Cowboys to 187 yards in 30 minutes. Tulsa’s defense gave up only 14 second-half points. Of OSU’s 453 first-half yards, 232 of those yards came on four scoring drives –– 44, 40, 71 and 77 yards. 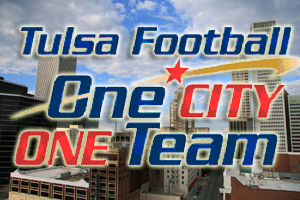 Tulsa opens the home season Saturday when the Louisiana Ragin ‘Cajuns come to town Sept. 9 for a 3:05 p.m. kickoff. Again, Fans can go online to purchase tickets at TulsaHurricane.com or by phone at 918-631-GoTU (4688) weekdays from 8:30 a.m. to 5:00 p.m. This entry was posted in Sports on September 7, 2017 by admin.